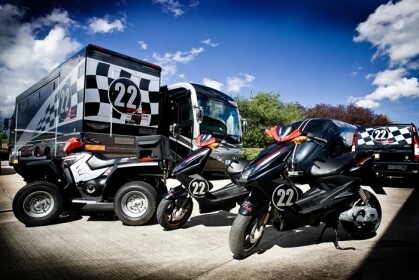 22GTRacing is based on a secure industrial park in Derby in the heart of the Midlands. We operate from a 2600sq ft modern workshop, 10 minutes from the A50 and 8 miles from East Midlands Airport. 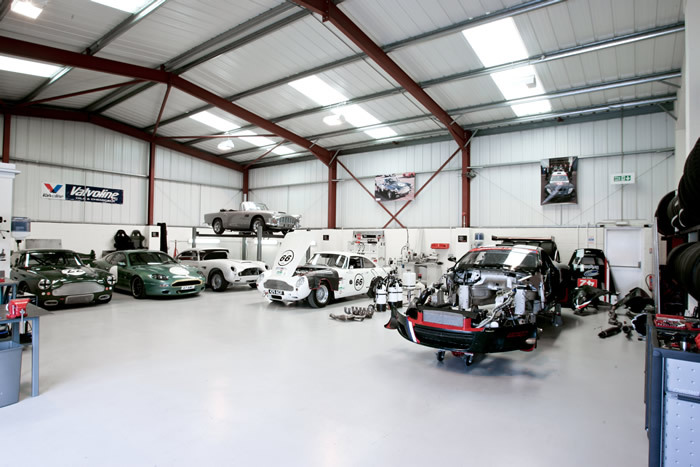 The workshop has 8 bays for car preparation including a four post ramp. Our fabrication area consists of a sheet metal bender, guillotine, plasma cutter, bead blaster and lathe. Our transport vehicles comprise of a purpose built 40ft rigid 2 car race transporter which incorporates tooling, compressor, generator and heating system, with two 3.6m x 7m wind out awnings fitted. We also have a 40ft Fleetwood American motor home, an extra wide race shuttle trailer and a Mercedes Vito duel liner Crew bus. A Polaris 800cc quad and two 50cc scooters are used as paddock vehicles. 22GTRacing has experience of running in numerous championships such as AMOC, GT CUP, Britcar and British GT. Also attending events like Le Mans Classic, Spa 6 hrs, Le Mans Legends, Goodwood Festival of Speed and Goodwood Revival.